This year’s New York Film Festival (NYFF) featured a healthy offering of portraits of artists in its Spotlight on Documentary strand, including Stig Björkman’s Ingrid Bergman in Her Own Words; Walter Salles’ Jia Zhangke, A Guy from Fenyang; Rebel Citizen, Pamela Yates’ profile of Haskell Wexler; and Jacob Bernstein’s Everything Is Copy, an homage to the filmmaker’s mother, Nora Ephron. In addition, Laura Israel’s Don’t Blink—Robert Frank screened in NYFF’s Main Slate. For Don’t Blink, Israel created a rapid-fire collage of Frank’s still photos and avant-garde films, as well as recent footage of the artist with friends, colleagues and his wife, June Leaf. An ambitious music track featuring the Velvet Underground, The White Stripes, Johnny Thunders, Bob Dylan and Patti Smith makes for a bracing complement to Frank’s work. Following his landmark photo study The Americans (1958), Frank teamed up with Beat Generation legends Alan Ginsburg and Jack Kerouac to make Pull My Daisy (1959), one of the iconic American underground films. Irreverent and outrageous, the film starred Peter Orlovsky, Gregory Corso with a guest appearance by William Burroughs. Don’t Blink features gorgeous clips from Pull My Daisy, as well as Sin of Jesus (1961) Me and My Brother (1969) and the legendary Cocksucker Blues (1972), commissioned—and buried—by the Rolling Stones. Equally gorgeous are the many full-frame representations of Frank’s still photographs; his 1970s Polaroids and negatives with captions scratched onto the surface encapsulated the unstudied, often partially blurred style of shooting he has always favored. Frank’s work has been described by critic Max Kozloff as a mode of “abused pastoral, pervaded by themes of loneliness and isolation.” For many years Frank’s subject was American culture, while in later years he shifted his focus to more personal, autobiographical concerns. Structured as a conversation with filmmaker Haskell Wexler, Rebel Citizen details his unusual career as both Hollywood cinematographer and courageous indie doc director. Perhaps best known for Underground (1976) and Medium Cool (1969), Wexler discusses the making of both films. Since the Weather Underground was still on the government’s most wanted list, Wexler and collaborators Emile de Antonio and Mary Lampson had to shoot in a secret location and could not show any faces or other identifying aspects. An FBI attempt to seize the footage resulted in subpoenas served on all three filmmakers, and the film was pulled from circulation. With massive support from the film community (and top-notch lawyers), they succeeded in having the subpoenas revoked on First Amendment grounds. No less ambitious, Medium Cool was one of the first theatrical films to mix actual news footage with a dramatic storyline, portraying the infamous riots of police against demonstrators outside the Chicago Democratic Convention in 1968. His account of tracking the actors and trying to shoot amidst the melee of cops, protesters and tear gas in the streets is fascinating. Citing Godard as major influence on the film, Wexler points out a striking sequence of a car accident when the camera and operator are suddenly revealed onscreen and a slow zoom turns the screen into a white flare. This recalls the famous opening sequence of Godard’s Le Mepris (1963), where Raoul Coutard’s camera slowly tracks towards us until only the camera operator is in the center of the frame. Now 93, Wexler shows no sign of slowing down, speaking enthusiastically about recent projects like Who Needs Sleep? (2006), exposing the dangers of the excessive hours required of workers on Hollywood films, and Four Days in Chicago (2013), about the Occupy Chicago movement. Made by Brazilian director Walter Salles, Jia Zhangke, A Guy from Fenyang takes us on a journey with the Chinese filmmaker through the locations of many of his films. He visits his childhood home in Fengyang after 29 years and is remembered by the neighborhood ladies as a scamp. Between multiple clips from The World (2001), Jia and his wife, actress Zhao Tao, describe how it was inspired by stories she told him about her life as a dancer. He is eager to tell stories of everyday people since he feels individuals as subjects were wiped out of Chinese film history after 1949. That impulse also informs Still Life, a portrait of laborers leveling an entire town of high-rise buildings so a huge new dam can be constructed in Three Gorges. The project destroyed over a thousand towns and villages and the film creates a haunting portrait of dislocation, juxtaposing the rubble-filled landscape with the magnificent natural surroundings. Jia’s 2014 film Touch of Sin was banned in China for its unflattering portrayal of current Chinese society. 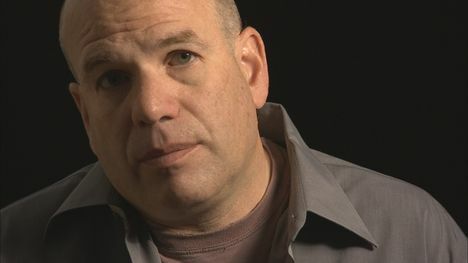 The filmmaker remarks how he began to hear many reports of violence and then researched the topic, so the film is based in part on actual incidents. All four episodes culminate in sudden and shocking violence—a woman sauna attendant stabs her oppressor, a laid-off worker murders rich big shots in his village, and a kid from Hubei jumps off the balcony of a factory dormitory building after suffering a series of setbacks. All these characters are caught in the jaws of historical change, feeling exploited and dehumanized by others who now value only material objects. Jia mixes a tough realist style with occasional flashes of surrealism in hard-to-forget scenes such as one of prostitutes working in a luxurious nightclub who march out in Vegas-style versions of Red Army uniforms. 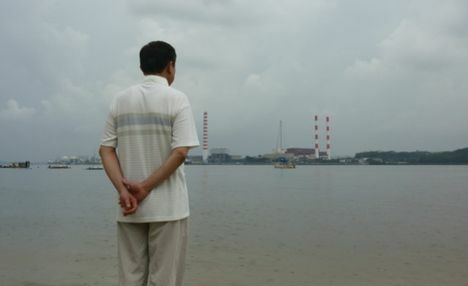 Towards the end of the film and the journey, Jia offers an eloquent account of his father’s suffering during the Cultural Revolution, his subsequent destruction of his many diaries, and his concern for his son’s safety after seeing his films. Clearly this is a legacy that resonates throughout his films. Wanda Bershen is a consultant on fundraising, festivals and distribution. Documentary clients have included Sonia, Power Trip, Afghan Women, Trembling Before G*D and Blacks & Jews. She has organized programs with the Human Rights Film Festival, Brooklyn Museum and Film Society of Lincoln Center, and currently teaches arts management at CUNY Baruch. Visit reddiaper.com. Many of the filmmakers whose work was shown in Art of the Real participated in post-screening discussions, and a common theme in these conversations was the examination of facts, histories and memories and how they’re constructed cinematically. One film that explored this hybridity was Li Wen at East Lake (Lou Li, 2014). Opening with an informational doc style, Li Wen at East Lake quickly sketches the meteoric rate of development and accompanying ecological damage affecting the lake over the past 15 years. Shifting to a dramatic mode, the film follows a policeman supposedly seeking a local crazy spouting stories of a fearsome dragon in the lake. The cop mostly hangs out with friends, though, and pursues his passion for collecting historical photos from the Cultural Revolution period. Woven through the cop’s story are encounters with local fishermen, young university students and bureaucratic regional bosses. Lou Li serves up a kind of shaggy-dog version of contemporary life in China, simultaneously building up layers of memory and history and exposing the social consequences of ecological destruction. 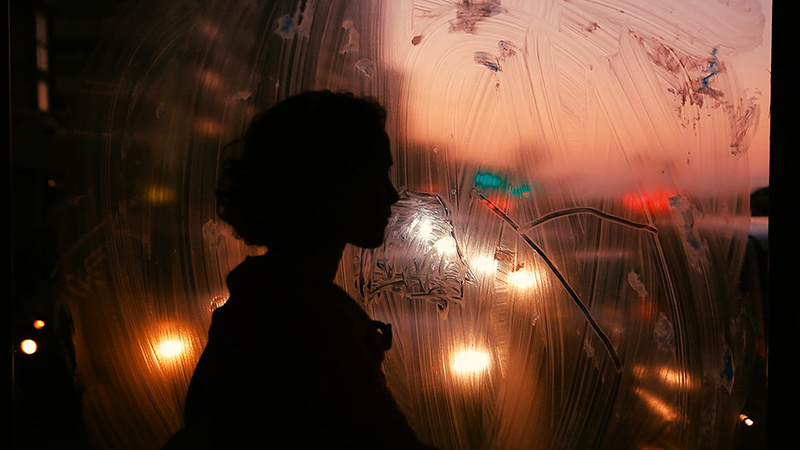 Another film that focused on a specific place and its inhabitants was Birds of September (Sarah Francis, 2013), set in modern-day Beirut. The filmmaker introduces us to various residents of Beirut, who share stories of their loves, lives and families. Each person is framed in what looks like a tram with large windows so that we see them surrounded by an ongoing panorama of cityscapes, day and night. The screen is full of reflections in windows and on cars, sometimes with busy traffic and sometimes in deserted corners of the city. Interestingly, there is no synch sound, so the stories we are hearing may or may not have anything to do with the people we see on screen. In fact, we do not know if the residents are real, or actors playing residents—and their stories could be real or imagined, or a mix of both. As viewers we simply go along on the journey through this mysterious landscape and its inhabitants. Letter to a Father, by Edgardo Cozarinsky, is the final film of a trilogy that he calls “chamber” films—all autobiographical pieces set in Argentina. Cozarinsky constructs his story using family photos, audio recordings and archival and vérité footage. The film addresses issues of immigration, cultural history and family lore. His grandfather was one of the “Jewish gauchos” at the end of the 19th century, and his father was a naval officer who died when Cozarinsky was just 20. Cozarinsky himself is an exile—he’s a longtime resident of Paris. As the off-camera narrator, he sifts through the traces—real, imagined and recalled—of his and his father’s life, writing and re-writing history. Le Paradis (Alain Cavalier, 2014) also concerns itself with personal identity and journeys of discovery. Better known for his French New Wave films like Thérèse, Cavalier has rarely screened his essayistic film diaries in the US. Using simple windup toys as props, the film re-enacts several major cultural myths—Odysseus’ journey, the sacrifice of Isaac by Abraham, the trials of Job, the crucifixion and rebirth of Jesus. Cavalier’s narration, by turns charming and droll, guides us through these stories while also commenting on the landscape outside his windows. The images are the “actuality,” and his narration constructs the dramatic structure that knits the film together. Lighted and photographed in extreme close-up, Le Paradis juxtaposes the quotidian rhythms of everyday life with the epics we create to interpret history. One of several unusual films on gay life and history in this year’s line-up was The Royal Road, Jenni Olsen’s latest work. Combining striking visual explorations of the San Francisco cityscape in various seasons of the year with her narration, The Royal Road offers stories of unrequited love, commentary on classic Hollywood films like Sunset Boulevard and Vertigo, and an account of the colonial history of California. 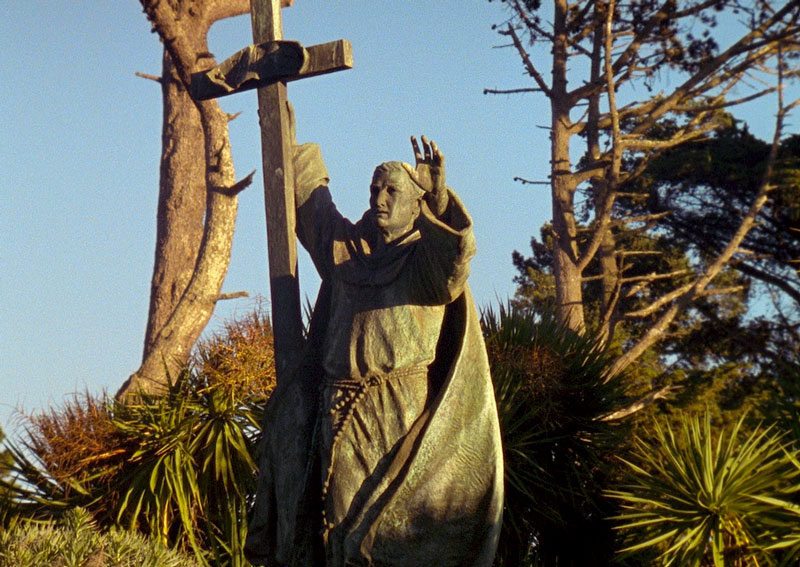 The film’s title refers to El Camino Real, the territory’s first and most important thoroughfare, stretching from San Diego to the Sonoma missions. Eloquent in form and conception, The Royal Road explores the mythologies of California as a locale of personal desire, as movie mythology, and as a key component of the American dream of manifest destiny. Clearly the notion of writing and rewriting history is a theme that runs through many of this year’s films in Art of the Real, calling attention to the enormous variety of ways that can be done. filmmakers, both domestic and international. Grounding the series with Jaguar (1954/67), the pioneering film by Jean Rouch, and several classics of the genre including Derek Jarman’s Blue (1993), Robert Gardner’s Forest of Bliss (1986) and Paulo Rochas’ Change of Life (1966), Lim and programmer Rachel Rakes also offered an impressive array of diverse contemporary films. 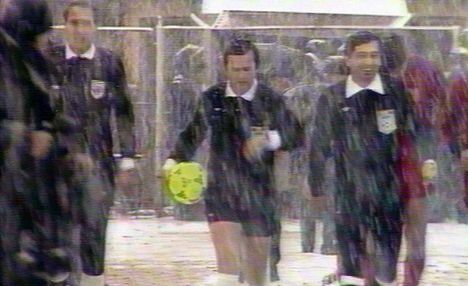 In The Second Game, from Romanian director Corneliu Porumboiu, an actual TV tape, stripped of commentary, of an entire 1988 soccer game played in heavy snow in Bucharest is turned into a meditation on history, space and change. The match, pitting teams backed by the Romanian secret police (Steaua) and the national army (Dinamo), was refereed by Porumboiu’s father the year before the collapse of dictator Nikolai Ceausescu’s regime. The droll soundtrack consists of the filmmaker and his father talking throughout the game about the past and the present. At one point the director remarks that the game is like one of his films: “It’s long, and nothing happens.” Using a historic artifact, Porumboiu recontextualizes it to reflect on both national and personal history. without him. Forty years later Mati tracks down that actress in Alaska, and convinces Niang to call her. We see this phone call, and Niang is transported by the magic of cinema to a huge snowy field, still in his skimpy old clothes, where he struggles through deep snow. Coming upon a kind of hot springs, he has a vision of his young lover walking in the distance, disappearing into the mist. Diop’s contemporary account subtly references the complex colonial past of Africa, refracting that history through a universal tale of love and loss. With its elegant cinematography, A Thousand Suns is both enticing and elegiac. laboratory at Harvard University that promotes innovative combinations of aesthetics and ethnography. Another product of the Sensory Ethography Lab, Sweetgrass (Ilisa Barbash and Lucien Castaing-Taylor; 2009), is an almost dreamlike portrayal of sheep-herding in the mountain valleys of Montana. Through long, slow sequences creating a palpable sense of natural time, and with a focus on the spectacular landscape, the film follows cowboys and their herd through the seasons, culminating in the inevitable drive to market. Like Foreign Parts, the environment and its characters (sheep included) are given equal weight and equal time, imparting a kind of epic quality to otherwise everyday events. writing, starting businesses and gaining citizenship. Most striking is their continued desire for change in Singapore, and the attachment to their homeland after so many years of exile. voices; he is married with kids and she is single.) over several years. 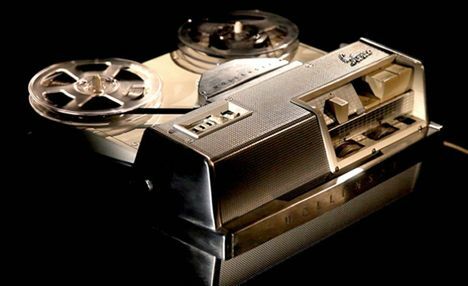 The visual track features two vintage reel-to-reel tape recorders—one white and one dark, to represent each character—intercut with a collage of images evoking the period. Suburban Midwest houses in a town, changing seasons and daylight and night scenes flow by as the tale of secret passion and adultery unfolds. There is an obvious fascination for viewers in hearing such intimate details of a love affair, and we cannot help but try to imagine this couple. At the same time we are almost embarrassed to listen, since these are presumably “real” people. a raft with three dead bodies appears on the river out front. Rolling the bodies into the river, she gathers her things and departs with the raft into the mist. Suggesting various temporal and cultural conditions of instability, stripped of narrative explication and causal explanation, Winter plays like dreamy science fiction. When Siegel shows these pieces in a gallery, they are accompanied by a soundtrack. With Winter the soundtrack was performed live, its content ranging from composed music, appropriated film scores, laptop-generated electronic sounds, voiceover texts and ADR dialogue on a timed schedule. Amid the media frenzy surrounding the Republican and Democratic conventions and upcoming elections, perhaps you find yourself in need of something more substantive than dialogue with empty chairs. By all means, check out Eugene Jarecki’s The House I Live In, which won the Grand Jury Prize at the Sundance Film Festival this year. The film opens October 5 in New York City, and will tour to cities across America through the fall. The House I Live In takes on the 40-year history of the “War on Drugs,” exploring in depth why it has been such a costly failure. No dry exegeses, this story is full of unexpected twists and turns, and compelling accounts from police officers, prison authorities, Federal judges, journalists, politicians, inmates and families trying to deal with drug users in their own homes. Jarecki lays out complex issues in accessible terms, delineating a clear analysis of what has happened over four decades– and in the process telling the stories of individuals from all over the United States. Opening with his personal account of his family background and that of Nannie Jeter, his African-American childhood caretaker, Jarecki counterpoints the experience of the two families throughout the film. While his white, Jewish family moved up the economic ladder, Nannie lost a son to drugs and had to migrate north to find work. That was how she became part of the Jarecki family. One of the key issues in the film is the contention by several academics and journalists that drug policy is driven by economics. Scholar Richard Lawrence Miller relates an eye-opening history of drug policies as a means to oppress minority populations in America, whether through the criminalization of opium to purge the Chinese in California, or cocaine and hemp to vilify blacks and Mexicans. This disturbing pattern is what journalist/television producer David Simon (The Wire) characterizes as a “chain of destruction.” Draconian sentencing laws have driven thousands into the prison system, which has consequently evolved into a big business–in many cases providing economic support to entire towns. There’s more of an incentive, then, to populate the prisons than to address the culture of drugs. Police officers in the film reveal that colleagues with multiple arrests per week or month are able to generate significant overtime pay, while those in homicide or fraud don’t get those perks. The Racketeering Influenced and Corrupt Organizations, or RICO, laws enacted in the 1980s allow cops to pull over any car and search for drugs, even if they find nothing and make no arrests. In the process the police may confiscate any drugs or large sums of cash they find. We also hear from US District Court Judge Mark Bennett regarding the disastrous results of the extreme sentencing laws. He has no choice but to give life sentences to defendants arrested for possession of a small amount of drugs. That is a major way the prison system has mushroomed into a billion-dollar industry. What makes The House I Live In so engaging is the access Jarecki manages, even in situations that could show his subjects in a bad light. He stresses the importance of taking time to get to know people before interviewing them on camera in order to understand the context they inhabit. 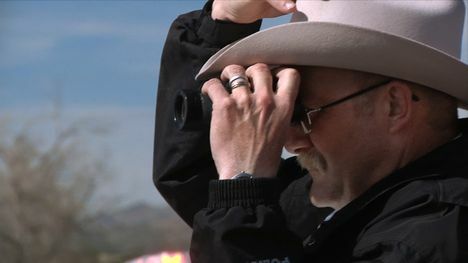 One of his subjects, a town marshal in New Mexico, was initially a chance encounter; Jarecki had asked him for directions. They started talking, and Jarecki asked him about the war on drugs. The marshal not only obliged, but also made both his office and his home available for filming interviews-and he provided valuable insight into aspects of the system in which he works. Contrast the marshal with Larry, an inmate who admits to Jarecki that prison was the best thing that happened to him, underscoring how unforgiving life is for drug users on the outside. Larry vents about how funding for skills training in prisons too often gets diverted by politicians who maintain their power through War on Drugs posturing. When it comes to editing, Jarecki sticks to his overall objective, even when some footage might be particularly powerful. Sometimes he has to “muscle out” his best footage, since he won’t use anything which looks like an ambush of the subject. His aim in the editing room was to show how social, political and economic systems become dysfunctional and how damaging those systems are to individual lives. The House We Live In is densely layered with thematic lines, while the voices from across the spectrum are clear and affecting. Despite the cataclysmic failure of the war on drugs, Jarecki cites inspiring efforts towards reform from many groups, including The Sentencing Project, which advocates fir reforms iun sentencing policies; and the Drug Policy Alliance, which works to change unjust laws at the federal and local levels. After four years in production on The House I Live In, Jarecki is about to embark on an extensive two-year outreach tour not only to theaters, but also to churches, high schools and professional associations and their conferences. Jarecki has already screened his film for such key policy makers as Los Angeles District Attorney Steve Cooley, who took part in discussions with the filmmaker at the Los Angeles Film Festival in June, and representatives from the New York City District Attorney’s office and the New York Department of Corrections, who attended a screening hosted by the Ford Foundation in New York. Jarecki believes the next two years of touring with the film will inspire more and more people to become active in pursuing reform for the issues he has so passionately put on screen. Flying into Berlin under gray, wintry skies for the Berlin International Film Festival, or Berlinale, is still a thrill, even after many years of attending it. Leaving real life behind for a week of sitting in the dark watching film from all over the world is possibly one of the great guilty pleasures for a programmer and critic, and, apparently, for many Berlin inhabitants. Founded in 1951 in what was then West Berlin, as a counterweight to the Communist era East Germany by which the city was surrounded for 50 years, the Berlinale has long been committed to showcasing work about social and political issues, often with provocative content and style. Originally comprised of the Competition and Panorama sections, the Forum was established in 1970 to ensure selection of films not only with artistic quality, but also originality of form. Another criterion was to show films from the Third World, which remains one of the focal points of the Forum. As with all the arts in Berlin, films engaging with the complex and difficult history of Germany in the 20th century are also an important part of the festival’s heritage. The Berlinale is a huge event, now headquartered at Potsdamer Platz–an island of high-rise steel and glass in the middle of the city, with thousands of press and industry attendees and one of the largest and most enthusiastic public audiences in the world. Every screening seems to be packed, no matter how arcane the film, or how unknown the director or actors. The work of Thai director Pen Ek Ratanaruang, for example, sells out along with films from Europe, Africa, and Latin America, while discussions after the screenings are animated and multilingual. Always a welcoming host for documentaries, the festival programs many of them in the Forum and Panorama section. The curatorial sensibility reflects an awesome range of both style and content, from abstract to personal to political. This year’s festival focused on fiction and nonfiction films about the Arab Spring. Panorama Documente included several fascinating docs, three of which were set in Cairo: In the Shadow of a Man(Hanan Abdalla; Egypt); La Vierge, les Coptes et Moi(The Virgin, the Copts and Me) (Namir Abdel Messeeh; France/Qatar/Egypt); and Words of Witness(Mai Iskander, USA). These films offer powerful insights into current events, constrating sharply with television reporting. In Words of Witness, a 22-year-old female journalist questions people about parliamentary elections and democracy on the streets, building up an image of a well-informed public whose concerns often turn into strong demands in this new era. In the Shadow of a Man takes a crucial look at the long years of pre-revolutionary times, which provide valuable context for the present-day uprisings. We hear women eloquently express their views; then as now, it’s about equal distribution of power through gender empowerment. La Vierge, les Coptes et Moi takes an entirely different approach, centering the film around an apparition of the Virgin Mary in a Coptic village. Using a personal style, the filmmaker shows his family, long settled in France, watching video of the apparition; he then returns to Egypt to investigate. Heading south to his maternal family, despite his mother’s implacable opposition, Abdel Messeeh realizes the real story is his family, not merely as believers in the visions but as hard-working, good-hearted people. 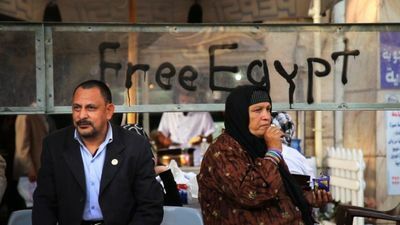 He decides to reenact the vision with family and locals in various roles, and the film gently evokes the parallels between being a Christian minority in Egypt and an Egyptian in France, where he is both outsider and insider in both worlds. Shifting from Egypt to Yemen, The Reluctant Revolutionary(Sean McAllister, Great Britain/Ireland) focuses on the story of Sana’a Kais, a tour operator who scrapes together a living from the few travelers daring to come to his country. Although initially skeptical about the protesters, once he begins working for filmmaker McAllister as a translator, Kais and his younger brother Abdulrahman both join in the uprising. The state of emergency puts a huge strain on the family’s already difficult financial situation, while the Yemeni secret service considers the filmmaker an unwelcome foreign journalist. 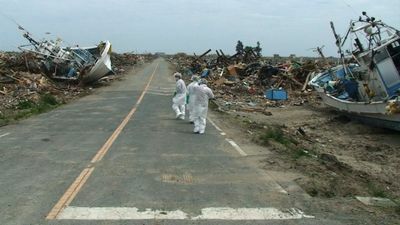 A major focus of the Forum was Japan, with three films about the March 2011 tsunami and the meltdown at Fukushima nuclear power station highlighting the programming. In No Man’s Zone (Mujin chitai), Fujiwara Toshi advances into the contaminated zone around the nuclear reactors, evoking images of an invisible apocalypse. Iwai Shunji addresses the political, economic and social situation of a country in a state of dependence infriends after 3.11. And Funahashi Atsushi’s Nuclear Nation profiles a mayor without a town, desperately trying to keep together a community scattered across different emergency shelters in the Tokyo suburbs. One of the most talked about films at the festival, Nuclear Nation focuses on Mayor Katsutaka Idogawa’s ordeals; the Yokoyama family, who remain close despite their permanent uprooting; and the Nakais, a father and son not having had enough time to search for their missing wife and mother during the frantic retreat. Idogawa’s heartbreaking account traces how the town’s rise and fall are inextricably linked with its exploitation by Tepco to become the country’s cradle of nuclear power. A unique section in these days of market madness is the Forum Expanded, which creates a space annually for a variety of projects including documentaries, hybrid documentaries, and not easily categorized film, video and installation work. Forum Expandedsets itself the task of taking apart cinema, putting it back together or even rediscovering it by presenting a wide range of lengths and experimental formats. Some of the noteworthy projects in Forum Expanded included Canadian video artist Steve Reinke’s bitingly ironic series of short films, Tiny Dinosaurs, in which he returns again and again to his family roots in their exploration of queer and Canadian identity; My father is still a communist, intimate secrets to be published (Ahmad Gossein; Lebanon/United Arab Emirates), in which a mother writes audio letters to her absent husband; whiteonwhite:algorithmicnoir (Eve Sussman/Rufus Corporation), a film edited live in real time, in which a man lives under surveillance in a fictional East European city; Joshua Bonnetta’s American Color, which traces a journey of a roll of the discontinued 16mm Kodachrome film stock, from its in Rochester, New York, to Kansas, where a small photolab developed the last rolls in early 2011; and Avi Mograb’s At the Back/The Details, a blend of photo images and music in a live performance. The Panorama Documentary Audience Award went to Matthew Akers’ Marina Abramovic: The Artist Is Present. Focused on Abramovic’s 2010 retrospective at the Museum of Modern Art (MoMA) in New York City, the film is a fascinating and intimate portrait of both her personal life and long career, as well as the behind-the-scenes goings-on at MoMA. Akers follows Abramovic for a year as she prepares and presents the biggest show of her career. The exhibition encompasses key Abramovic pieces (some originally performed by her with German performance artist Ulay), as well as a new piece at MoMA, to which the film’s second half is almost exclusively devoted. She describes her key motivation for participating in the film as the opportunity to bring performance art to the masses and hopefully make it accessible. 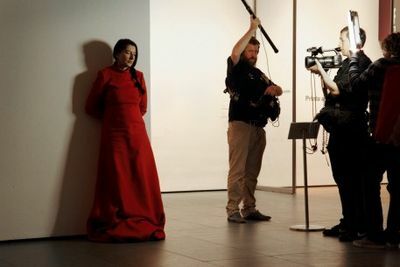 Having seen the exhibition at MoMA, I was fascinated with the process of preparation in the film, as well as the toll taken on Abramovic during the three months in which she sat motionless and impassive for eight hours a day in the museum atrium. For most filmmakers, having a film accepted by the Berlinale is a coveted event, and the imprimatur of screening there pretty much assures that your film will get international notice. Additionally many films not in the festival, including documentaries, are screened in the European Film Market, which is also huge and attracts an international cadre of distributors, producers, agents, programmers and commissioning editors. Setting up a meeting and/or inviting someone to see your film is manageable despite the size of the festival, and the Market sees brisk sales activity every year. One of the most interesting aspects of seeing documentaries from all over the world is the variety of approaches and definitions encompassed within that terminology–poetic essays, archival films, personal docs, as well as installation work and combinations of all the above. The programmers at Berlinale clearly have a broad interpretation of “documentary” and take a very inclusive view in their selection, generating lively discussions and considerable food for thought. Making a feature documentary with 200 collaborators from around the world is no stroll in the park. Nevertheless, producer Ridley Scott and director Kevin Macdonald have done just that via a unique partnership between Scott’s Scott Free Films, YouTube and LG Electronics. Conceived as a user-generated feature-length documentary, shot on a single day (July 24, 2010), Life in a Day empowers the global community to capture a moment of their lives on camera. The date chosen was a Saturday-a day the producers felt many people could devote more time to the project. Additionally Scott and Macdonald sent 500 small digital cameras to far-flung places around the globe, partnering with Against All Odds Productions, a California-based company that specializes in large-scale global photographic projects-such as the best-selling Day in the Life book series. Participants were invited to shoot on one of the SD cards in the preset camera, send back the card and keep the camera. The producers wanted to try out a melding of YouTube as a social media platform and traditional film formats. Having put out calls for clips on YouTube several times, the team ended up with a staggering amount of material: over 80,000 submissions, totaling 4,500 hours. Macdonald describes his approach as asking, “What is this material trying to tell me? What are the collective themes and preoccupations that the contributors are pointing me towards? In other words, I tried to remain as open-minded as I could–not bring too many of my own preconceptions to bear on what I saw.” The team found that contributors tended to film either themselves or people known to them, following distinct patterns of a daily routine like waking, washing, walking and eating. These themes were embedded within the flow of the film as a reminder to the viewer that one is traveling throughout a single day on earth. One of the surprises in seeing the finished film is how good the image and sound quality are on a large screen, given the multiple sources. A huge amount of technical work was done to achieve that consistency. Engaging features of the structure include several mini-narrative sequences that punctuate the film from time to time, including the Korean cyclist, who is on a 10-year trip around the globe. Another is a sequence in a sumptuous landscape–a New Zealand farm with goats and animal herders that take you through an afternoon’s work as the short sequences recur. Collaging the found image and sound material is a fascinating and central aspect of the film–and works better than the sections scored with orchestral music, which often seems to overwhelm the images. A more engaging sequence involves a trio of African women singing while pounding grain; this scene serves as a recurring motif–sometimes harmonious, sometimes contrapuntal–with other scenes. To create a sufficient narrative arc, the filmmakers deployed various other strategies–like a very brief and affecting story of a Japanese man and his little son getting up in the morning, making breakfast and praying before the shrine of their dead wife and mother. Life in a Day, distributed by National Geographic Entertainment, opened June 9 in Germany and June 17 in the UK. It premieres in the US on July 24–a year to the day after the documentary was shot around the world. The film will also enjoy a very long life online as the thousands of hours of footage not in the final cut have been made available on YouTube’s channel for the project. The ultimate tribute is the establishment of a separate online TV channel, www.lifeinaday.tv, a nonprofit, community-generated film festival where people all over the globe can interact with the filmmakers, comment on their stories, upload their own clips and even make their own film diaries. 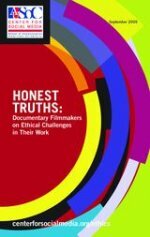 ‘Honest Truths: Documentary Filmmakers on Ethical Challenges in Their Work,’ the latest study from the Center for Social Media. Any filmmaker who sets out to make a documentary faces multiple challenges, not the least of which is a set of ethical issues inherent in the process. How to portray the subjects of the film? What to shoot and what not to shoot? How to edit so that the film is true to its topic and subjects, yet also works as a compelling story for the audiences? If a filmmaker is working in a foreign country or culture (or subculture), how to represent people with dignity and sensitivity to that place, time and experience? Most people not involved in filmmaking are not entirely aware of the power of the camera and editing to structure events in ways they would never expect. At the heart of documentary production is the relationship between filmmaker and subjects–not often an equal balance of power. And for the most part, it is the filmmaker who determines how that will be managed. We asked several documentarians about their experience on recent projects and how they handled a variety of ethical issues that occurred. Restrepo focuses on the experience of soldiers in combat in all its difficult and draining aspects: the constant danger, the loss of comrades, the discomforts of living for weeks and months in a distant outpost in Afghanistan, and even the boredom between battles. Directors Sebastian Junger and Tim Hetherington both have had extensive experience covering wars and war-torn countries. They embedded themselves with a platoon of US soldiers and spent 14 months, beginning in May 2007, in the Korangal Valley of Afghanistan. Each spent about a month at a time and then switched off with the other, sometimes overlapping for periods of time. Both were well aware they would be working in one of the most dangerous regions–far from any military bases and accessible only by helicopter. As the founder of Kartemquin Films in Chicago in 1966, Gordon Quinn has many years of experience with documentary production. Known for tough, issue-driven documentaries, Kartemquin is particularly devoted to fostering, as it states on its website, “the growth of emerging filmmaking voices passionate about social issues and media policy.”Asked about the balance of power between filmmaker and audience, Quinn notes he makes a point of trying to give the viewer a sense of how the story is being told and what the filmmakers’ relationship with the subject is like. For Kartemquin’s recent film In the Family, about predicting breast and ovarian cancer and how women live with the risk, director Joanna Rudnick was having a difficult time finding a woman who shared the BRCA gene that she had. She felt that the most effective way of building trust with her subjects was to share her own story on camera with them, which enables viewers to see how that relationship between filmmaker and subjects evolves over time. Quinn recently completed Prisoner of Her Past, a film about a childhood Holocaust survivor who is suffering from Late Onset Post Traumatic Stress Disorder, obviously a topic requiring sensitive and delicate handling. While he had permission from her son, the legal guardian, Quinn wanted her permission as well. She was ambivalent, and Quinn captures that in an interesting way. She had said on camera that she would not give permission. Nevertheless, she allowed filming and at several points addresses the camera directly. In a painful and fraught scene where she meets a Polish cousin from childhood, she refuses to acknowledge him and asks him to leave the room. Then she turns to the camera on Quinn’s shoulder and says, “Excuse me, I am talking to this gentleman,” referring to the filmmaker. In the last shot of the film, she turns to the camera and says, “Goodnight, ladies and gentlemen,” before heading off to her room. Quinn kept these scenes in the film to give the audience a clear sense of her character and his relationship with her. Documentary production and distribution have enjoyed huge resurgences over the past decade, giving rise to a plethora of specialized festivals and markets, as well as to experiments in modes of distribution. Documentaries can now garner coveted attention and audiences at festivals, on TV and in theaters. The documentary pioneers–Joris Ivens, John Grierson, Pare Lorentz, Dziga Vertov, et al–would marvel at the global impact of the form they helped create. This resurgence, coupled with the cost efficiencies of the tools of production, has attracted both an audience and a filmmaking community that is younger and more diverse. The rapidity of these changes, thanks to the digital revolution, is continuing to subvert conventional processes of production, distribution and funding. For independent documentary makers, one of the most effective developments has been the rise of documentary co-production markets-often called pitching forums-around the globe. Certainly the grand dame of these is the IDFA (International Documentary Festival Amsterdam) Forum, which was launched in 1993 (IDFA itself premiered in 1988). Hot Docs, the largest documentary festival and market in North America, modeled its Toronto Documentary Forum after IDFA’s. And one of the latest entries is The Good Pitch, a partnership between the UK-based Channel 4 BRITDOC Foundation and the Sundance Institute Documentary Program. Each of these forums has specific structures and guidelines for submitting projects on their websites, as well as news about successful projects and new initiatives. We spoke to the respective managers of all three forums about their goals, and how they see the current international landscape for documentaries. 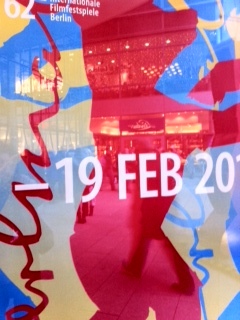 The 2009 the IDFA Forum attracted 400 visitors and delegates, as 43 filmmaking teams pitched their respective projects. In addition, an international audience of 160 observers and other film professionals–commissioning editors, producers, distributors, sales agents and independent producers–saw 27 Central and 16 Round Table projects pitched before 120 commissioners and other financiers. Those include “seedling projects,” in their early stages, and “rough cut projects,” looking only for finishing funds. New media funders and non-government organizations (NGOs) are welcome, since the Forum sees them as crucial for the market in the coming years. One of the key elements at IDFA is the two-hour sit-down lunch for all participants. As a guest of Rotterdam’s Cinemart for many years I always found the similar lunch there to be one of the best opportunities for informal networking. According to Adriek van Nieuwenhuyzen, the Forum’s industry office director, the selection process starts with a committee of five people working in international documentary–including producers, commissioning editors, distributors and representatives of institutes. Another review committee includes people with a broad international overview of projects in development and in production, along with market trends. Selection is made in a two-day meeting in Amsterdam, where the committees read proposals, watch trailers and review other submitted material. Recent successes coming out of IDFA include Lixin Fan’s Last Train Home, which was pitched at the 2008 Forum and captured the prize for Best Feature at the 2009 festival. The film will be released theatrically in the US this September through Zeitgeist Films. Another big success is Judith Ehrlich and Rick Goldsmith’s enthralling The Most Dangerous Man in America: Daniel Ellsberg and the Pentagon Papers, which was also pitched at the 2008 Forum; the film earned an Academy Award nomination this year for Best Documentary Feature. The Toronto Documentary Forum (TDF) at Hot Docs is a similarly intense two-day experience. As we went to press, the 2010 TDF, held May 5 and 6, expected over 500 leading industry professionals to hear 25 pre-selected international project presentations. Guests were to include key international commissioning editors and an observer’s gallery composed of fellow producers, distributors, sales agents, funders and other buyers. TDF also offers Observer accreditation for independent producers; representatives of foundations, public agencies and film institutes; sales agents; distributors; etc. As at IDFA, each slot includes a seven-minute presentation from the production team and its trigger decision-maker, and a seven-minute discussion-and-response period. Teams are encouraged to include one- or two-minute video clips. A particular draw at TDF is The Doc Shop Online, a digital video library offering users on-demand access to over 1,500 documentaries at any of the 40 onsite computer terminals during and after the festival for registered buyers, distributors, sales agents and festival programmers. The Toronto Forum also offers multiple opportunities for informal networking via one-on-one meetings and receptions. New for 2010 is a special workshop focused on interactivity co-sponsored with the Canadian Film Centre (CFC) Media Lab entitled “Leave the Walls at the Door,” a facilitated matchmaking and think-tank workshop designed for documentary producers of every ilk. Thirty participants, including myriad storytellers working with a variety of platforms and backgrounds (traditional, interactive, commercial, art house, big budget, do-it-yourselfers) will have three hours to share ideas and experiences. One of the big success stories that initially surfaced at TDF was the Israeli film Waltz with Bashir (Dir. 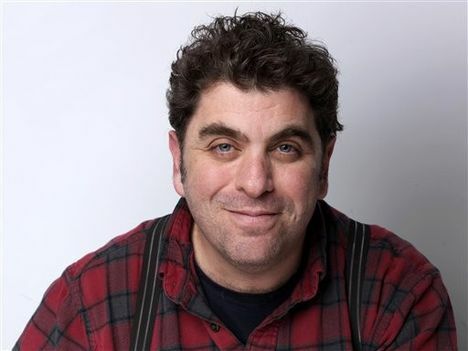 : Ari Folman). Pitched in 2007, it met with very mixed responses. People were unsure about the animation approach stylistically, as well as the expense involved. Later the filmmakers had follow-up meetings in Toronto and were eventually able to secure Arte as a co-production partner. Waltz with Bashir went on to win numerous awards–not only for best documentary, but also in the animation and foreign film categories. Foundation Director Beadie Finzi describes this as an ongoing process of continuous, year-round networking. Her staff works hard to make sure there will be at least one film with which participants will want to be involved so that no one comes away disappointed. Part of its cultivation efforts was a conference in June 2007 for 150 of the UK’s top NGOs and foundations to learn about how documentaries can help them in their work. The conference was very useful in convincing the NGOs of the benefits of working with film and filmmakers. A conference of that kind in the US would be an excellent idea, and would have to take place on a regional basis, given that the country is so large and not centralized like the UK. The Good Pitch provides numerous opportunities for filmmakers to connect with people on their panels–before and after their pitches–and produces a very comprehensive catalogue listing everyone attending the event, including their priorities and contact details. Business partners for specific films have included Saatchi & Saatchi, Nokia, Stella Artois, Waitrose and Greenpeace. 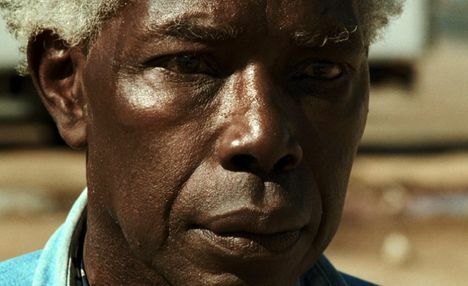 In addition, throughout 2009, The Good Pitch was presented at Hot Docs, Silverdocs and Independent Film Week. A similar tour is underway for 2010, starting with the Tribeca Film Festival in April and May. A further activity of BRITDOC is its online services, including the recently launched Good Screenings, a new film distribution website that allows users to hold their own screenings of the best social justice documentary films and, crucially, keep their profits. An impressive success coming out of the 2009 SilverDocs Good Pitch was the film Hungry in America by Kristi Jacobson. The feature-length documentary presents an unﬂinching look at the root causes behind the 17 million hungry children in this country and asks tough questions about why a nation that could feed all of its citizens has failed to do so. She and co-director Lori Silverbush attracted NGO partnerships that progressed “from first-date to marriage” when a summit of 20 anti-hunger organizations convened following The Good Pitch to strategize about how they could use the film to amplify their own work. According to executive producer Ryan Harrington, the anti-hunger NGOs assembled in Silver Spring raised $250,000 in funds for the film since that event, with more financing pending. Another success story from the 2009 Good Pitch at IFP’s Independent Film Week was Glenn Baker’s Easy Like Water, which received an investment of $10,000 from the Global Fund for Children. The film documents the innovative work of Mohammed Rezwan, who uses solar-powered floating schools in Bangladesh to turn the frontlines of climate change into a community of learning. The organizers of these forums all noted the reduced budgets for commissioning editors. Jan Rofekamp of the Montreal-based Films Transit International also cited a decline in the autonomy of buyers in recent years. They now have to speculate on what issues will have audience appeal–which may not always yield the most interesting or innovative projects. Rofekamp advises filmmakers to be aware of the buyers’ priorities and spend some time researching some of the major buyers and what they have funded recently. A great resource is the European Documentary Network’s annual Financing Guide, which includes detailed information on international broadcast buyers and distributors, funds for production and distribution, including video-on-demand. The guide is available in both printed and online versions. There is also enormous interest from documentary festivals and forums in the possibilities of new media; IDFA presented two panels in 2009 on these topics. If you have a multi-platform project, by all means, talk it up. So if you are planning to pitch your project in the near future, what is the recipe for success? Rofekamp, who has participated in pitch events for many years, advises targeting the concerns of buyers. They want to know why your topic is important, why you are the best team to make it and why it needs to be produced now. Claire Aguilar of Independent Television Service (ITVS), also a veteran of international pitch forums, recommends working with the moderators to help with the discussion and suggest broadcasters that would be responsive to your pitch. Memorize your presentation and be sure to make eye contact with those in the room, rather than look at notes. Your topic will do best if it has universal relevance (the ability to draw audiences from varied countries), so make sure to explicitly lay out the reasons for that and draw specific parallels for your topic, person or event. Everyone recommends the strongest possible sample reel, since that is often what really piques participants’ attention. Preparing a dazzling sample reel is well worth your time and money. Your major objective is to use the pitch to get to one-on-one meetings later in the event. That is where the real business gets done. As a documentarist, educating yourself about the many new options and ventures out there is the one of the most important things you can do to ensure your voice continues to be heard.